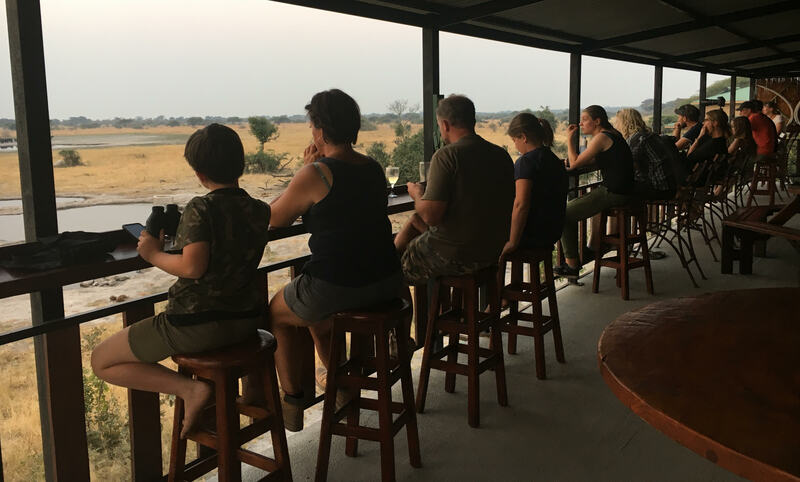 On the edge of the Barangwe pans, in the heart of the Botswana bushveld, there you will find Thobolo’s Bush Lodge. The lodge is just about 108 km from Kasane on the same route to Savuti, Linyanti and Maun. This hefty distance ensures you the peace of the bushveld with an abundance of the animal life surrounding you. Thobolo’s Bush Lodge is for sure a pioneer of ecotourism and environmental initiatives all across Botswana. Therefore, at Thobolo’s Bush Lodge you can experience the bush from a comfortable, eco-friendly perspective. Thobolo’s Bush Lodge offers 12 chalets on their premises. You can decide if you want to book your stay on a full-board basis, or do self-catering. Unfenced, open campsites are also available for those who wish to camp wild. The campgrounds are in a perfect location that overlooks the abundant wildlife on the pans. The ablution facilities are clean and neat. These facilities will undoubtedly make sure that you have a unique experience. Another highlight of Thobolo’s Bush Lodge is the remarkable deck they offer to their guests. Their bar on the deck is always fully stocked and will assure that you have a drink in your hand in time for the sunset. On the first floor of the main building, you will find the library and also the lounge. As you get down to the ground floor, a shop with all the necessities will be available for your convenience. The Reception area with a display of all the maps and information on the surrounding area will also await you on the ground floor. The dining room is either on the viewing deck of the main building or in the Boma. From where you can enjoy meals prepared specially for you. From hearty breakfasts to fresh sandwiches, warming soups, fresh salads and satisfying snack platters to the signature Thobolo’s braai nights. There is something for every palette. Thobolo’s Bush Lodge is an effort and initiative of Mike Gunn’s. He had the vision to revive the Barangwe pans. The idea was to give people the opportunity to experience the wildlife of this part of Botswana. With a weird task ahead to minimise the environmental impacts of this lodge, Barangwe Pans came to a successful revival. 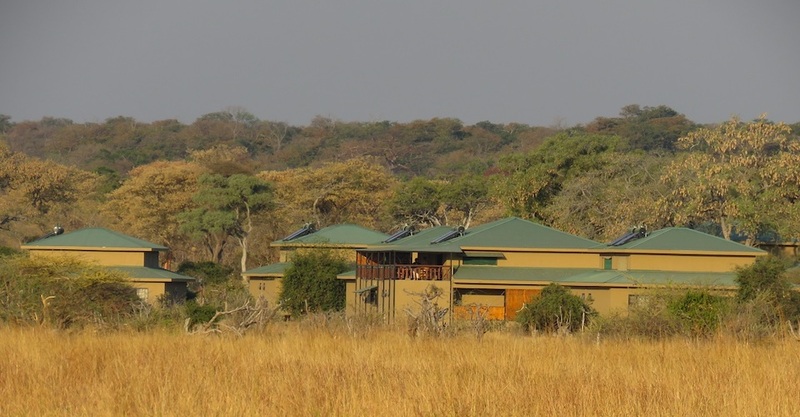 The Thobolo’s Bush Lodge is on the edge of this great pan. Thobolo’s is the first of its kind in Botswana built by a system called “light gauge steel” construction. This building system is recognised worldwide as one of the greenest building methods available today. The Lodge is at the highest eco level available in Botswana. This eco-friendly lodge’s electricity is entirely solar powered. This solar system is Sun Trackers with solar panels following the sun throughout the day. Of course, with Botswana having an excellent rainy season yearly, a backup generator is in place for the overcast days. All timbers used on the Thobolo’s property during the construction process are native to this area. Since the revival of the Barangwe Pan, a large number of species have made this pan their home. Animals such as wild dog, leopard, lion, warthog, impala, roan, sable, kudu, eland and buffalo as well as many other small mammals that come and go. 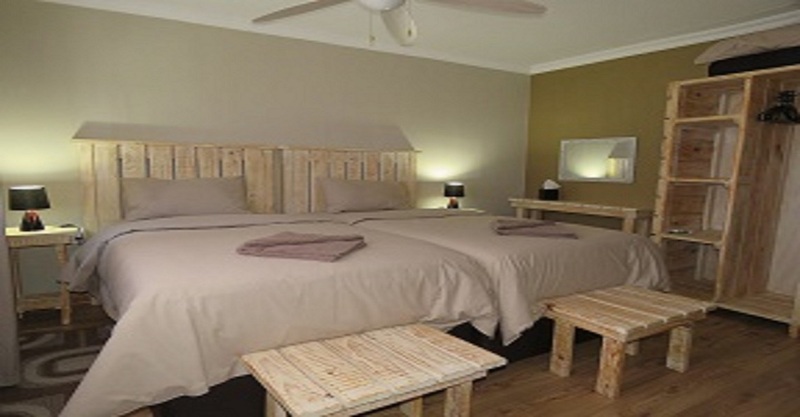 Thobolo’s Lodge also offers camping sites with ablutions, Hot showers and washing facilities. This is perfect for the bush lovers that seek a tranquil natural surrounding. Thobolo’s Bush Lodge offers self-catering Chalets that sleeps four people. All these chalets overlook the pans, each with its viewing deck. 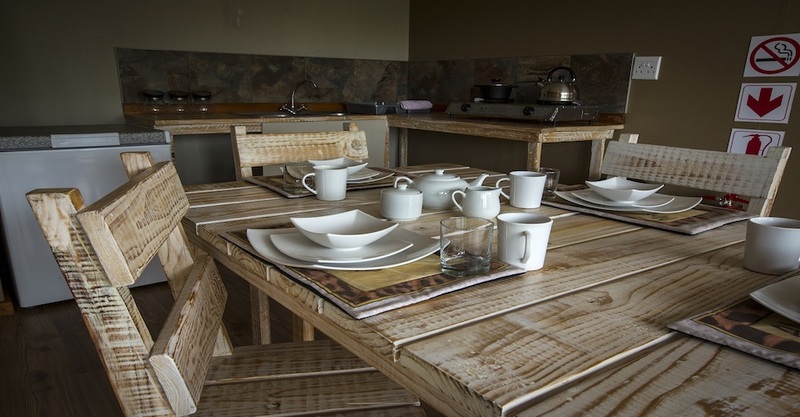 Each Chalet is equipped with two luxury en-suite bedrooms, a full kitchen and a dining area. There are also braai/BBQ facilities available. All bedrooms have screens and a big overhead fan for comfort. Thobolo’s Campsite overlooks the pans with a newly renovated ablution block and wash-up area. Dinner Bed & Breakfast included during your stay.